Red Wine, Green Tea and Dark Chocolate: A Garden of Eden...for Your Skin. Yes eating apples can be extremely beneficial to one’s health. The fruit is rich in fiber and vitamin C. Apples are also packed with antioxidants and flavonoids, which can help prevent disease. But...one of the hottest trends in skin rejuvenation uses apple stem cells culled from a rare Swiss apple known for its longevity. The Uttwiler Spatlauber apple is a nearly extinct variety found only in Switzerland. Apples and even bark from this tree have an amazing ability to heal themselves if they are scraped or punctured. Once picked, the apples last for months longer than other varieties. Because of this, this apple was studied, and the source of the anti-aging and regenerative properties was found in its stem cells. Since then, these endangered apples have been cultivated, and their stem cells have been extracted for cosmetic use. Studies have shown that they help protect and repair human stem cells, which is incredible. 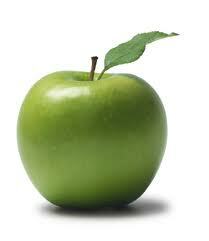 But it’s not just the Swiss apple stem cells that make apple a great skincare solution. No matter from where the apple is plucked, the fruity flesh is filled with nourishing ingredients. Apples contain natural exfoliants that remove dead skin cells, and they also contain components that protect the skin from harmful UV rays, prevent cell and tissue damage, and fight wrinkles and aging. Additionally, the abundance of alpha hydroxy acids, collagen, elastin, and vitamins A, B, and C aid in balancing the pH levels in the skin.